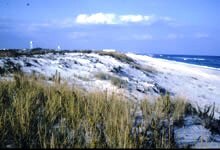 Above: Fire Island after a storm in 1992. 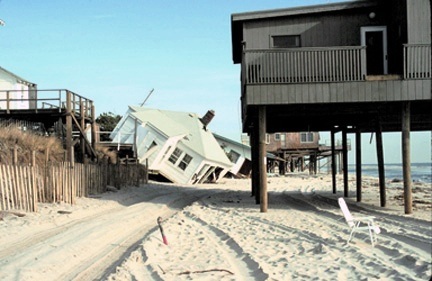 Coastal hazards refer to the risks of life and property on the coastline that are created by coastal flooding, waves, high winds and waves, short-term and long-term shoreline erosion, storm surges, and sea level rise. Different approaches can be brought together in coastal management at both the state and federal	levels. It is best to reduce the threat of natural hazards such as coastal storms before they occur. 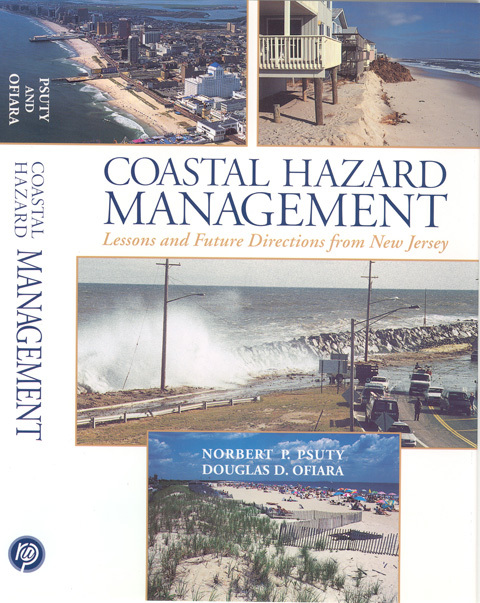 The book Coastal Hazard Management contains information on Dr. Norbert Psuty's research in coastal geomorphology and is meant to address a diverse audience of professionals and coastal communities, to encourage collaborative research on coastal management and public policy.